So I decided to pull the battery and give then try to charge the phone and I was surprised to see it now shows only 35% charged. I have posted the batter snapshots, please advise if there is anything I can do to make it like it was before updating to KktKat, ofcourse I dont want to reset to factory settings. 1. Check to see if the battery is bulging by taking it out, placing it flat on a table, and trying to spin it. If it spins freely, it's bulging, which is a sign of failure. Try a new battery. I tried the spin thing, the battery is just fine and not bulging. How do I clear the system cache? From application manager and clearing it for each app one by one or there is another option to it? To clear the system cache, look at the link in the previous post. Follow the steps for Wipe Cache Partition. It looks like, the phone is fixed, but this would be to early to say. I shall update you after 12 hours to confirm. Otherwise it looks good. Okay I waited to long to come back. Because it seemed like the phone was kind of healing itself. However last night everything came back to same again. 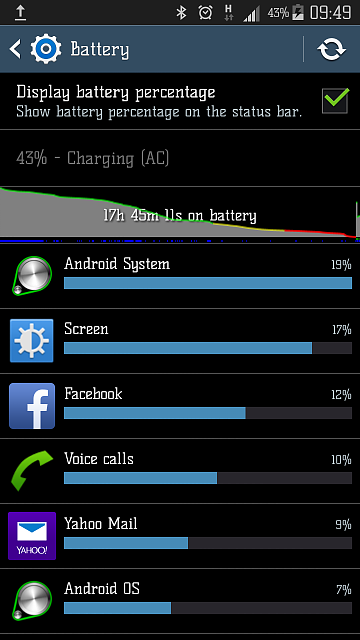 I charged it to 100% and it drained in less then 5 hours. 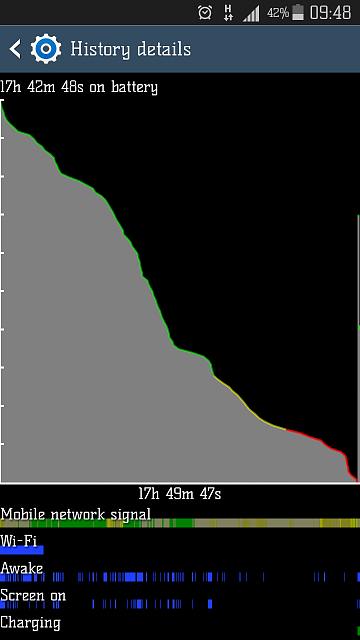 Every 2 minutes I spend using my phone gives me a 1% of battery loss. The stand by time is like 6 to 7 hours. I have checked, the battery isn't bulged and tried to spin it on flat table surface, it won't spin. Is there something I can do to fix it?? It 18 months old phone. swap fn and left control keys on usb keyboard case?